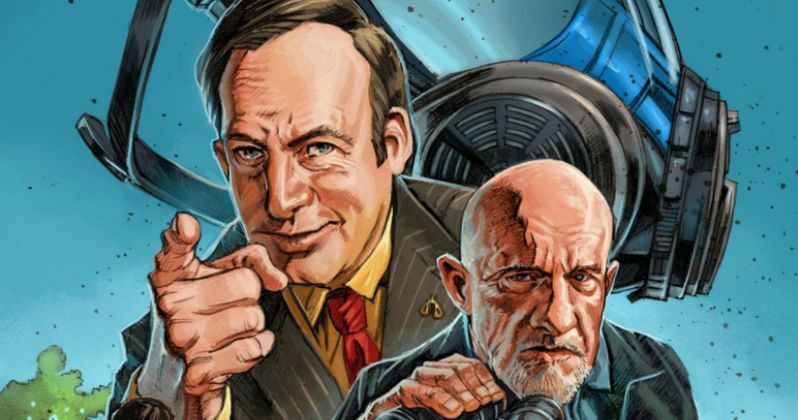 Fans disappointed to hear that Bryan Cranston's Walter White and Aaron Paul's Jesse Pinkman aren't going to show up in Better Call Saul Season 1 will be happy to see that both characters are included in a new tie-in crossover comic book that is currently available on AMC's official website. This new story arrives before Better Call Saul debuts this Sunday, February 8 with Uno. The action seen in the comic, titled Client Development, takes place during the Breaking Bad Season 2 episode 4 Days Out, where it is continued. Of course, fans already know where the story is headed. Written by Jenn Carol and Gordon Smith and drawn by Steve Ellis, the comic introduces Walter White to Saul, as Mike sets out to get intel on the high school chemistry teacher.